Betty Johnson does what she can to help her injured and pregnant daughter. A loving, concerned Southern family. Betty and Jim Johnson look in on their injured daughter. Betty Johnson (played by Frances Fisher) is a concerned mother of a pregnant car crash victim. A Cute (and Sleepy) Couple. 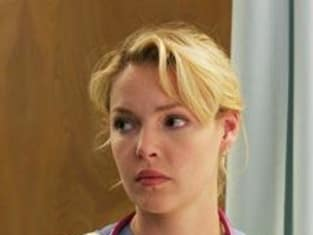 Isobel "Izzie" Stevens is ready to get it on. In the O.R. And in Denny's room. 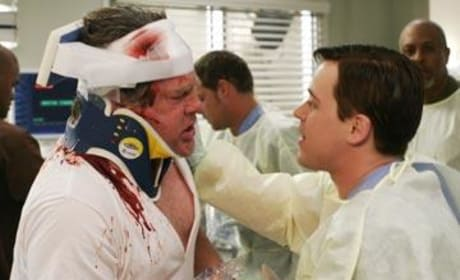 George tends to Big Jim, a patient with a rather nasty injury... and demeanor.